Prior to the much anticipated publication of her next book, she visits Warwick Arts Centre on Thu 25 Apr 2019, for an unmissable Audience With … where she’ll be discussing her life, her career, her writing, and her characters. What can fans expect from An Audience With … ? I’m being interviewed by Fiona Lindsay, which is lovely. It’s three-quarters of an hour or so, then another three-quarters of an hour, with a gap in the middle. It’s really a description of how I came to be a writer, and what it feels like to be a writer for so long. I mean I started writing when my youngest was three … and now she’s 47! So you know, I’ve seen absolutely everything. [laughs] Yes! I do! It was sort of easier then. It was before writing was seen as a sexier thing to do, I mean it wasn’t very fashionable. But now everybody seems to want to write and publish a book. It’s a very odd state to be in, because the printed book is amazingly holding its own, but there’s a generation coming up who really are completely screen addicted. And I don’t know what’s going to happen about them with reading. You’ve said that people learn more from reading fiction than anything else other than actual experience. Do you feel that you’re still learning when you read other people’s books? Oh yes, all the time … all the time. Yes! Absolutely, absolutely. I suppose … when you get to my advanced age, you are less shockable. You’re less outraged by things because you just think that human nature is capable of the greatest highs and most unbelievably depraved lows! I was born in the middle of the last war … [and I’ve] seen people behave in these unacceptably extreme ways. It doesn’t mean that you feel that the wrongs should not be any less righted, but your capacity to be outraged is possibly a little less … just because you’ve seen it all before … you’re more used to it. As a keen reader, who are some of the other contemporary writers you admire? There’s an enormous number of women writers who I think are absolutely outstanding. There’s a lot in America and a lot here. There’s a very unsung heroine in this country, Tessa Hadley, who is nothing like as famous as she ought be. I remember saying the same about Hilary Mantel, until Wolf Hall (2009) … ‘Why isn’t everybody reading her? Because she’s absolutely brilliant!’ And the same is true of Tess. I haven’t been up to Coventry for about 30 years, I think, so it’ll be lovely to be back. [Last time] I went to see the Sir Basil Spence cathedral and the Graham Sutherland tapestry, behind the altar. I was recently, two years ago, in Dresden and Coventry and Dresden have done a swap with a cross of nails, the general spirit of forgiveness, and moving forward … reconciliation. It’s very moving. It’s a big ambition. I very hope I’ll get to see the cathedral again when I visit. John Piper did the stained glass didn’t he? I remember when the tapestry was revealed that lots of people had very vociferous opinions about it, there was an uproar. But all of that died down – things do die down. In an irreligious age it’s still very very import to have a cathedral, to have a parish church, it roots a place. What are your plans for the future? Any new books on the horizon or other projects? I’ve said to the publisher, no publications this year, as I must have time to assimilate a bit, but there will be a new novel out in, probably February 2020. So I’m doing various things like coming to Coventry and doing lots of other interesting things. They’re connected but not directly linked to the publication of a book. Which is very very liberating. And also spending some time with some time with all these very very amazing grandchildren, which is lovely. I’ve got nine all together. 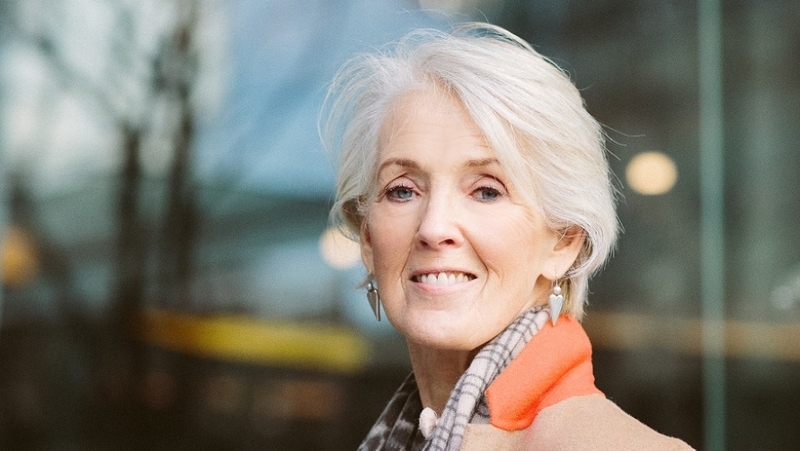 An Audience With Joanna Trollope is at Warwick Arts Centre, Coventry, on Thu 25 Apr 2019. For tickets and more information, click here. See All News More news: MI:Lab goes to Coventry Cathedral!